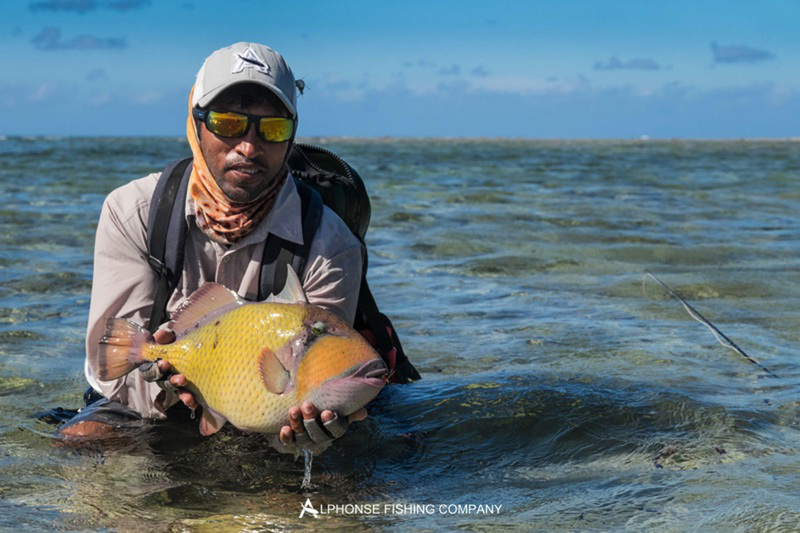 After last week’s commotion in the St. Francios lagoon which we would describe as phenomenal fishing, everyone was excited to get back out to St Francois atoll and see what was on offer for this week. 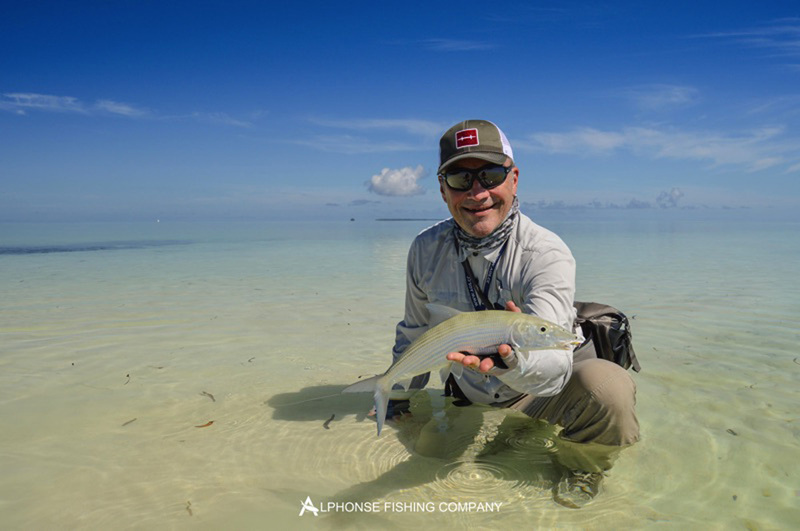 The GT madness had subsided, however the baitfish were still around and the GT’s were making themselves visible every now and then. 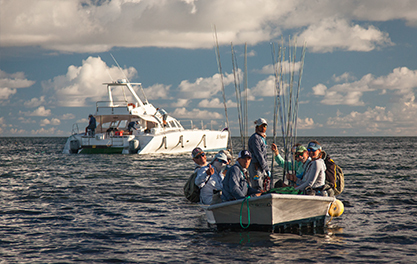 This week with only eight fishing guests on board the mother ship, the flats were quiet. It’s always refreshing and yet paranormal when you don’t see another boat for the day or the radio is quiet. But the fish love it. 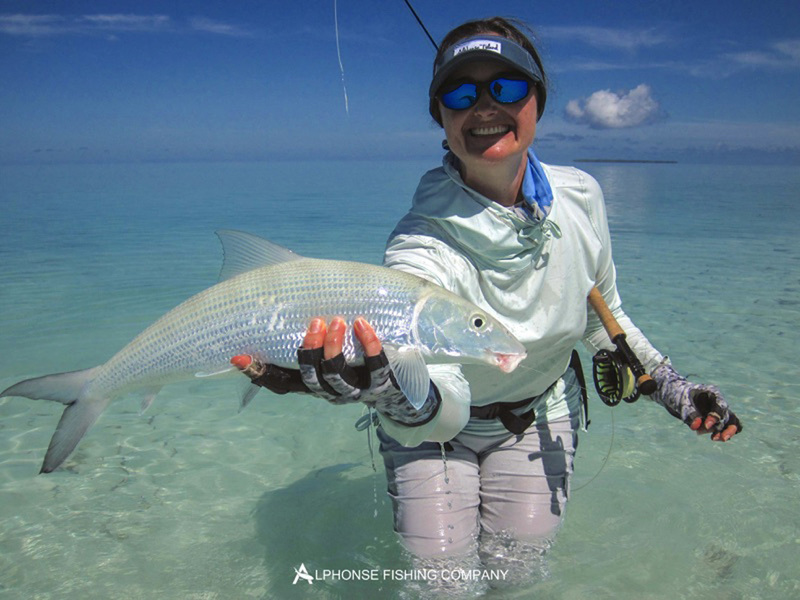 The week started with a classic bonefish Sunday, resulting in a couple additions to the twenty plus bonefish club. 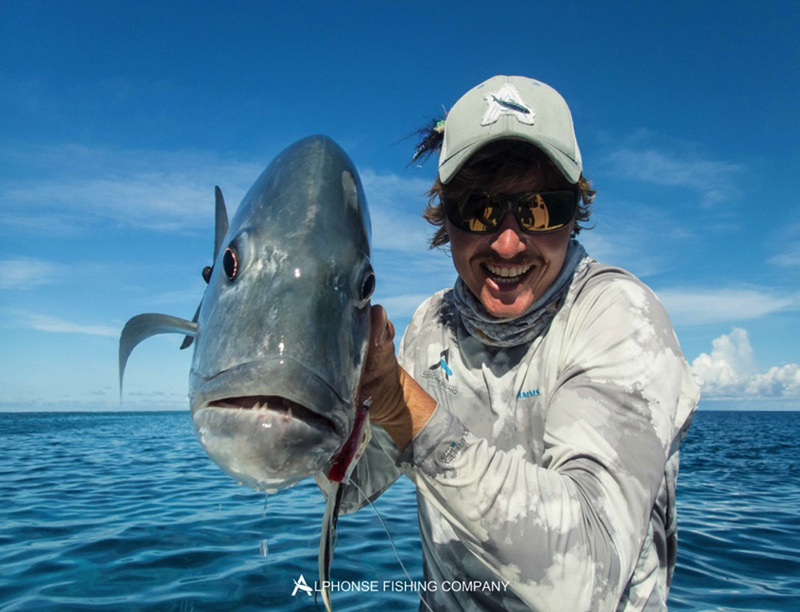 Brent Kitson kicked his week off on a high note by landing his first indo pacific permit, the holy grail of salt water fly fishing. 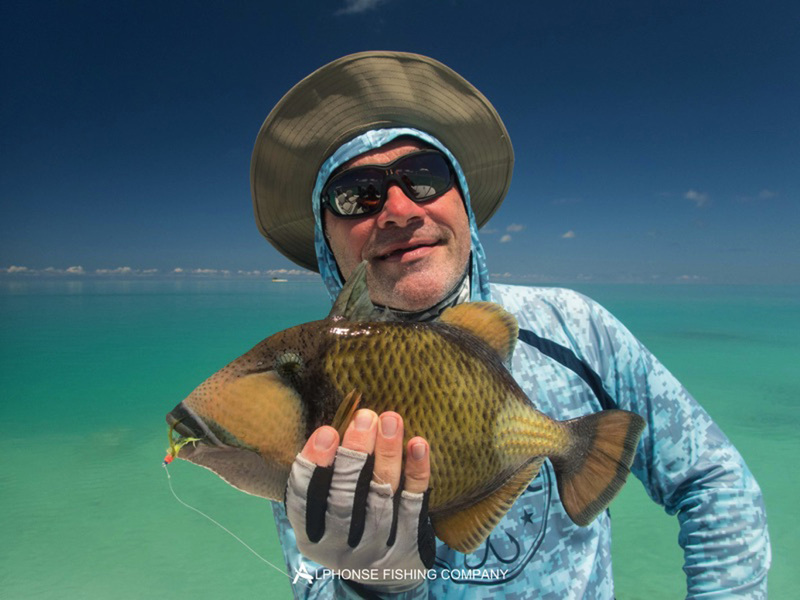 Robert Gilchrest joined the trigger fish club by bringing his first Moustache to hand. 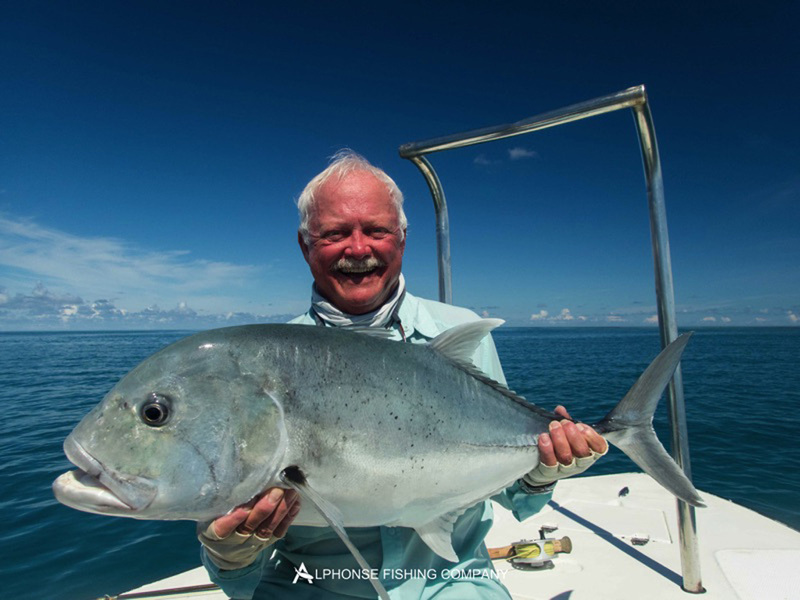 Rod Wentworth wasn’t far behind by ticking his trigger fish box with his first moustache. 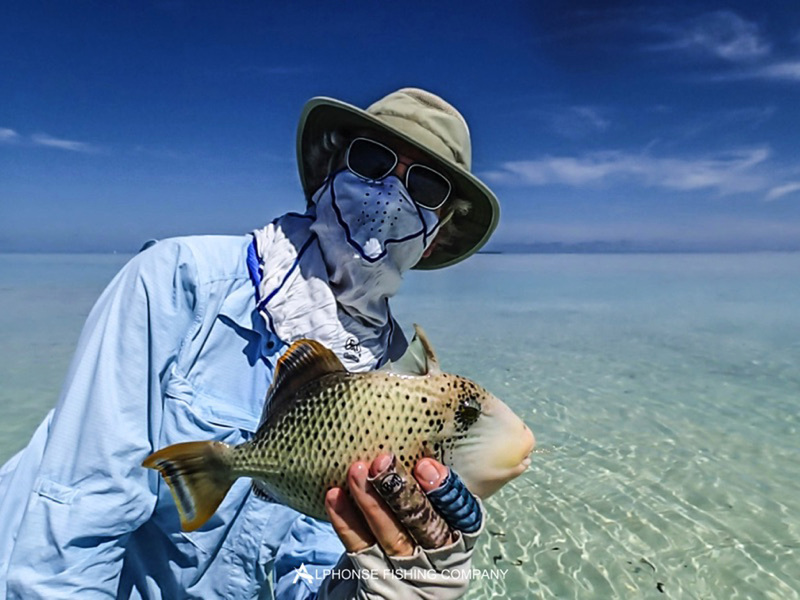 Brent has to be mentioned again, as his first week came to an end of his two week stint he landed his second permit of the week and his first big yellow margin trigger fish. This by no means is an easy feat and really does not happen often. On the GT front, Nikita Grodeev tailed his first ever GT of 60cm on a 9wt. 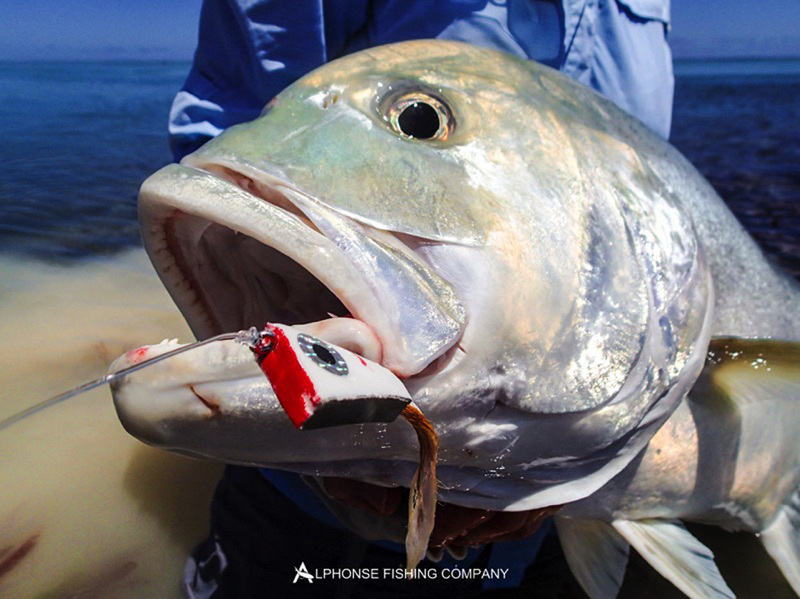 Brent bent his twelve on a beautiful 85cm fish with Rod getting his GT of 80cm. 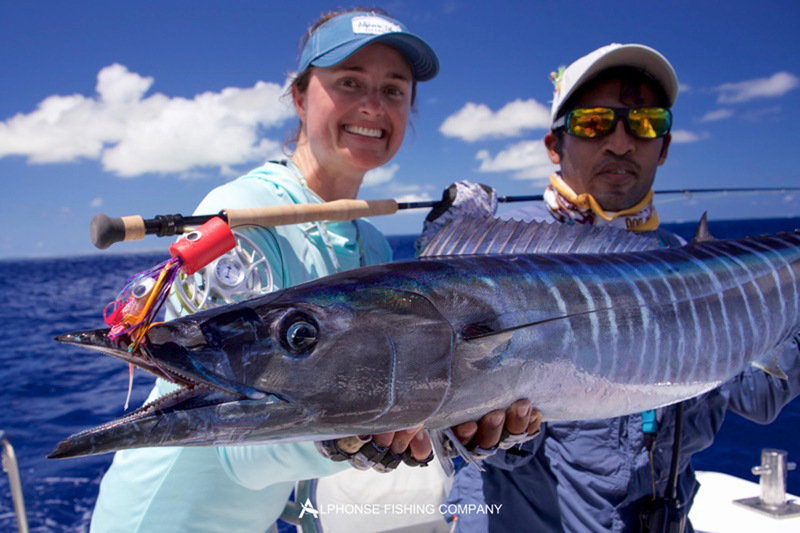 The offshore fishing was as good as you can get with sailfish and wahoo falling prey to the fly. 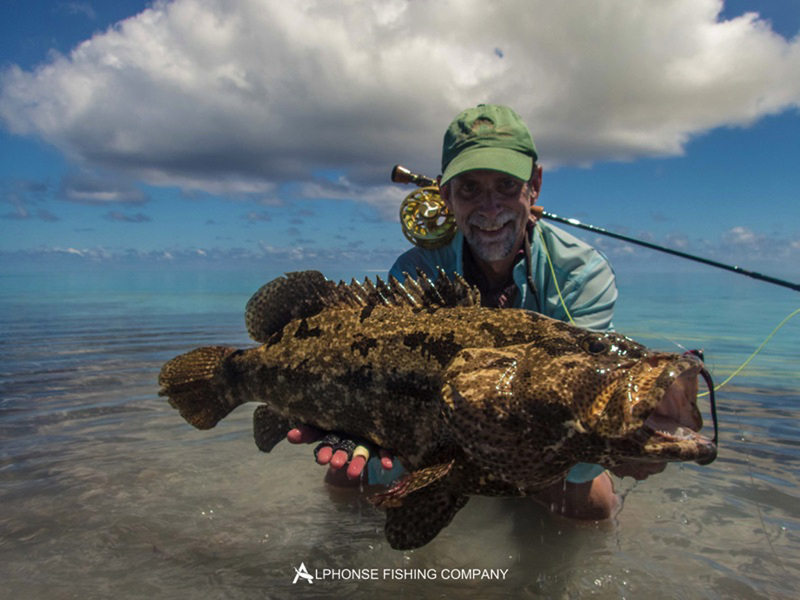 The fishing on a whole was world class. We were spoilt with fantastic weather throughout the week, crystal clear water, with little to no wind – An emulated portrait of sea and sky. 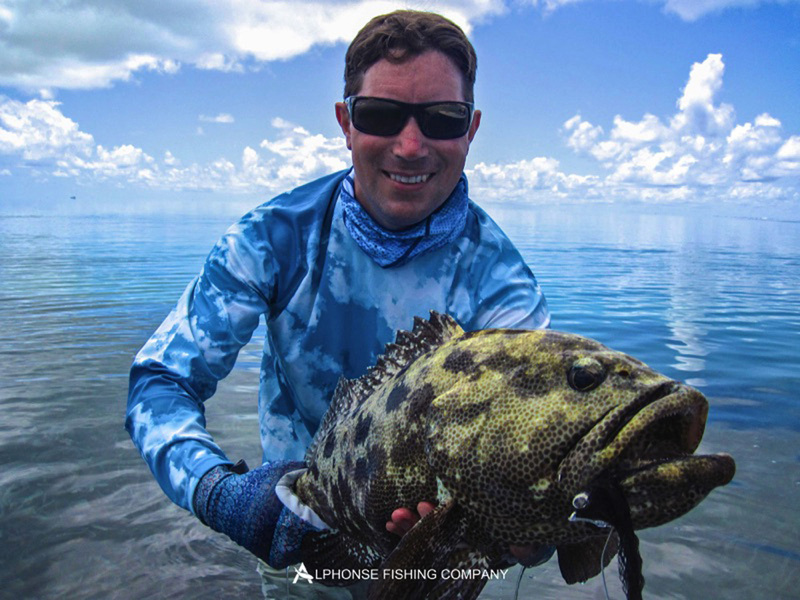 A fantastic week of fishing comes to a close with the build up to the Christmas Season.